Do you need custom application development? Applications that are custom tailored to meet the unique needs and goals of a business can have a tremendous impact on success. We can craft a custom solution for you that’s designed for mobile devices, desktop, or both. We can build your business a brand new application based on what your unique needs and objectives are. Want more out of your existing application and unsure how to do that? We can help. You may be collecting data and struggling with making sense of it. We can create applications that help you get organized and get insights. Our team of senior software engineers can create scalable, reliable, and high-performing solutions for you. Solutions can be created for both on-premise and cloud-hosted environments. Our team of senior software engineers can create scalable, reliable, & high-performing solutions for you. Use custom applications that are uniquely designed for your business. 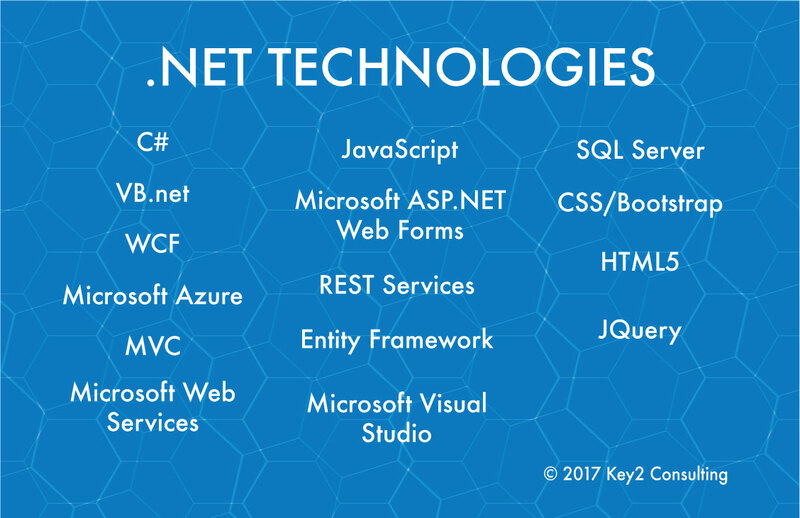 Whether you need a new .NET solution or a different technology, we design, develop, and implement applications that fit your business’s unique goals.